You’ve bought a stunning three-piece leather lounge suite and it looks great in your living room, until your child or pet decides to track dirt all over it. 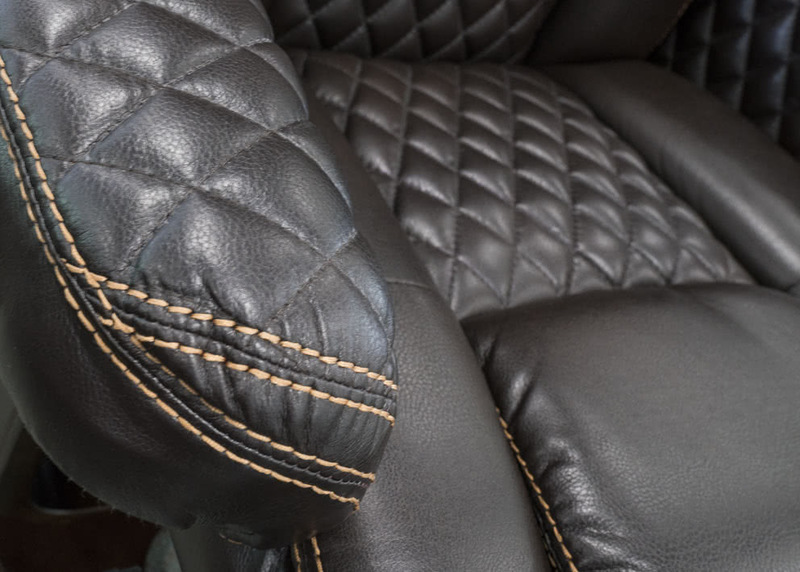 When it comes to keeping leather clean, some of the worst advice given to leather furniture owners is that they can treat the leather like everything else and use harsh cleaners. The unfortunate truth is that the chemicals in many store-bought cleaners will strip your leather of its protective layer and leave a permanent stain. Use a vacuum with a brush attachment to remove any dust. If your leather furniture has hard to reach corners, a good feather duster will loosen the dust for your vacuum cleaner. Use a very soft or microfibre cloth when you start cleaning and wipe gently, since there is no need for hard rubbing. Purchase a stock-standard leather cleaner, but make sure it is very clearly marked that it’s only suitable for leather products. If you have some mild soap at home, that will work as well, but only use a small amount. Rub any stains with your cloth, ensuring you are gentle and slow with your movements. Don’t use an overly damp cloth. Never leave your leather to air dry, rather use a new dry cloth and dab the surface repeatedly until the leather is dry again. Once you’ve completed your cleaning, go over the fabric with a leather conditioner or polish to help it stay cleaner for longer and resist further staining. If you are faced with a very tough stain, you will need to get a specialised leather stain remover with a degreasing agent, as this will help get the stain out a lot faster. You should have multiple microfibre cloths with you for each stage of the stain removing process. Remember, don’t scrub the stain. Instead, massage the area for about 15-30 minutes, and if the stain has pooled then soak up the moisture by dabbing, taking care not to wipe as it will cause the stain to spread. Still not a 100% sure how to clean leather properly? Then refer back to the manufacturer’s instruction guide because they will specify in the maintenance section which cleaner and stain remover to use for your specific leather pieces. If you’d like any further information about maintaining your leather lounge suite, feel free to contact us anytime.